If you love quartz then boy have you come to the right place! Our fantastic collection of Quartz Jewelry includes so many quartz varieties that you probably haven�t even heard of all of them: Smokey Quartz, Lemon Quartz, Rutilated Quartz, Tourmalinated Quartz, Honey Quartz, Lime Quartz, Rose Quartz, Green Quartz, Olive Quartz, White Quartz, Cinnamon Quartz, Yellow Quartz and Green Gold Quartz. Not only do we carry an amazing selection of Quartz colors, but we also feature a wide array of styles including white gold, yellow gold, and sterling silver and some pieces even have diamond melee accents. Enjoy shopping for that perfect piece of Quartz jewelry. 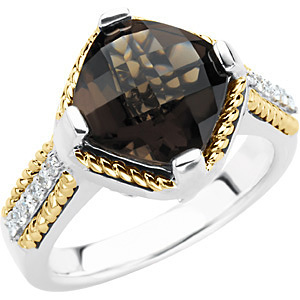 Are you looking for a classy, elegant gemstone ring that doesn�t break the bank? Many of our Quartz cocktail rings cost less than $200! The beauty of a Quartz ring is that it can take you from casual weekends to the workplace to evening wear, since it�s subtle yet sophisticated glamour is extremely versatile. 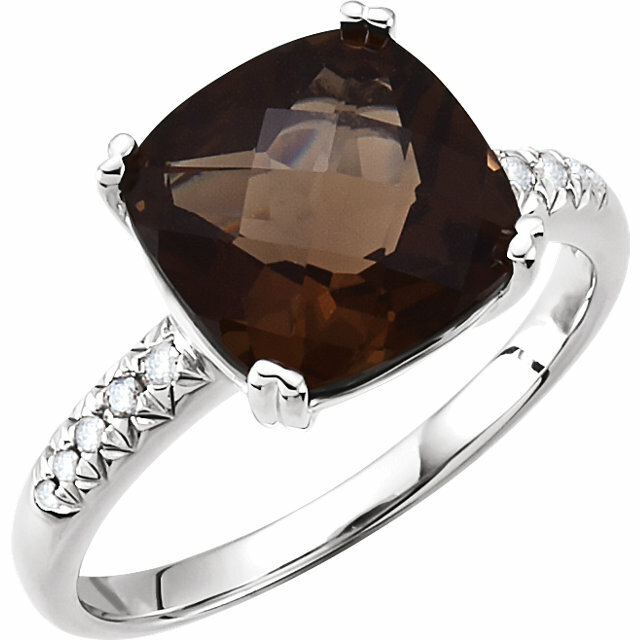 And a quartz ring is always a great gift for any lady in your life. Don�t forget that we offer FREE shipping on all Quartz jewelry. There is something so special and unique about a Quartz pendant. The delicate neutral hues found in quartz tend to be flattering and refined. We are especially proud of our magnificent selection of Quartz pendants that beautifully display the true splendor of Quartz gemstones. Best of all, every pendant comes with a FREE chain. 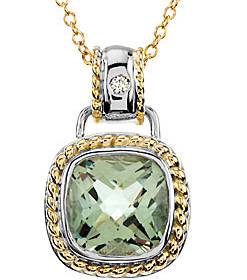 Shop for your dream pendant today! With so many colors of quartz to choose from, including many shades of pink, brown, yellow and green, we offer an amazing array of fashionable quartz earrings. Be the trend setter and flaunt your unique sense of style. 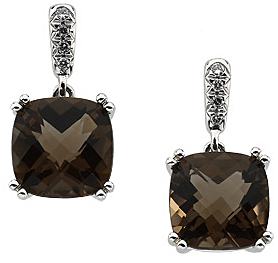 With designs that range from classic to funky we offer the gamut of beautiful Quartz earrings for every taste. And if you really love quartz you must take a look at our Quartz jewelry sets. Save 15% on the purchase of an entire matching set.